To provide students with a motivating and productive working environment, you need a quick and easy-to-set-up solution that will create isolated spaces for learning and collaborating with peers. 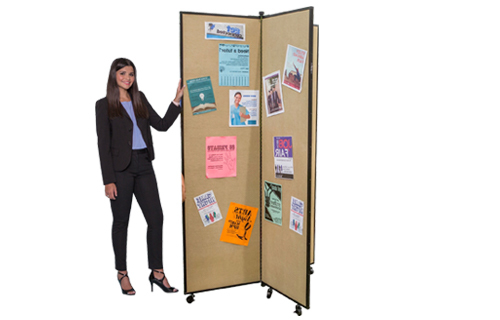 Screenflex solutions are ideal room dividers for any educational institutions where teachers wish to combine both group and individual work. Furthermore, owing to the versatility of their design, an educator can pin any study material to the portable partition, or utilise it as a whiteboard. Finally, to ensure the classroom or study room emits a warm and welcoming atmosphere where kids will feel inspired to learn, you can select one of the 30 colors that come in 3 different designs. Check out the photographs from other educational institutions that have already had the chance to enjoy the versatility of the Screenflex portable partitions. 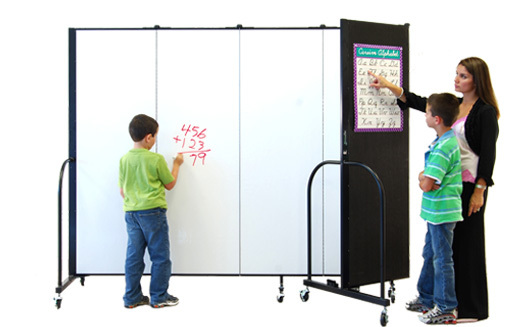 How can Screenflex room dividers help education market? What some of our School customers are saying….